My Chinese Classroom series consists of 3 volumes, 10 courses in each volume, explained with English and Japanese. The books are compiled by many experienced experts on teaching Chinese, Japanese and English language. 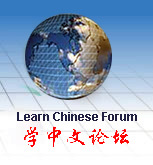 In proper sequence, it can help Chinese language learners to manage Chinese quickly and accurately. It also focuses on real life backgrounds in Shanghai. So it is ideal for people who plan to travel to Shanghai or plan to work in China. 3. Do you have coffee? 4. Do you have time this evening? 5. I will work overtime on Sunday. 6. Where is Yu Yuan Garden? 7. Do you like Xiaolongbao? 8. I want home delivery. 9. Yesterday I caught a cold. 10. Can you help me wash this? The textbook includes English and Japanese notations. The only perk is that the CD is in Chinese only. This order is for Textbook Volume Three and MP3 (Volume Three) together.